Groups like the National Endowment for the Arts have conducted surveys and studies over multiple decades that have found a decline in arts program funding, and even arts programs’ existence in general, in schools and publicly funded organizations all over the U.S. The University of Chicago’s National Opinion Research Center (NORC) researchers – Nick Rabkin and Eric Hedberg – even tested and ultimately confirmed that participation in arts lessons and classes is the most significant predictor of arts participation later in life. So, when these programs and/or the funding for these programs are cut, it is easy to understand why professional jobs in artistic expressions like dance, visual art, and music are not valued as “real” jobs or positions that are essential to society. But, in reality, the arts are not simply for mere entertainment purposes, but serve as signifiers to mark any given culture’s uniqueness and nuance in time and space. The Global Youth Village (GYV) serves to bring young people from diverse backgrounds together to learn and experience each other’s cultures in a way that encourages them to collaborate in creating peace. 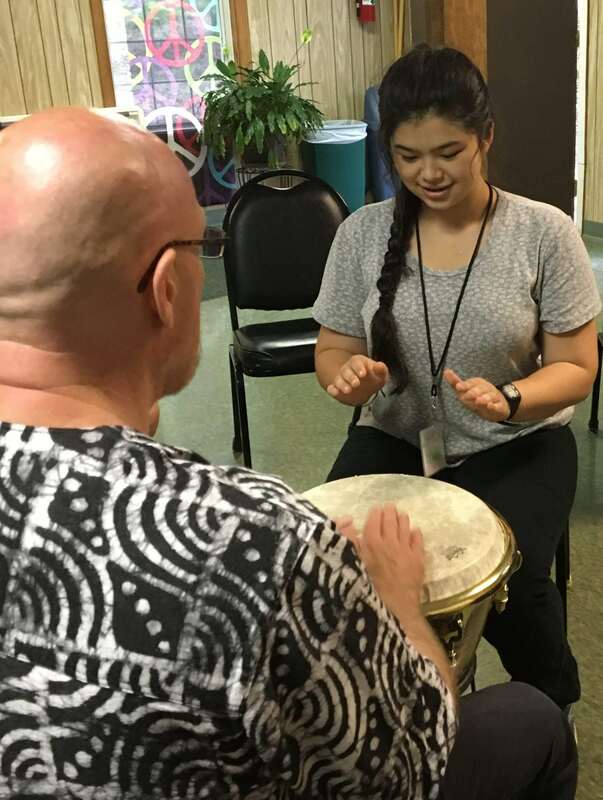 GYV uses creative methods to strengthen global and social bonds in a communicative atmosphere through diverse workshops, the arts, and various social activities; and music is a major component of the multicultural programs. Music has a powerful impact on each participant. The love of music as a form of expression is common to all cultures, and this passion is undoubtedly evident amongst youth. GYV participants openly share their culture through music and open their hearts to express themselves. Music is used in workshops and performances as youth present and share their cultures with each other. Another 2016 GYV participant, Maroua noted, “If we are able to make such beautiful music with mixing different traditional instruments from all over the world, we will definitely be able to create a diverse, peaceful community with pure souls.” And this is extremely essential to remember; because though fields, programs, and positions in STEM are equally as important, music – in conjunction with all of the arts – is so valuable because language is not required for communication and because this form has the power to connect people through common modes of cultural expression like rhythm and melody. Legacy International inspires you to not just support, but also participate in the arts events and programs in your community that you enjoy!